Ruffleclaw is a furry red monster who lives under a toolshed, and he’s sick of eating bugs. When he decides to move in with a family of humans, he climbs right into bed with a boy named Tommy. Tommy wants to keep Ruffleclaw as a pet, but it won’t be easy. Ruffleclaw makes huge messes—he spits, he drinks shampoo, and he eats everything in the fridge . . . along with the plates! Can Tommy teach his monster to behave? 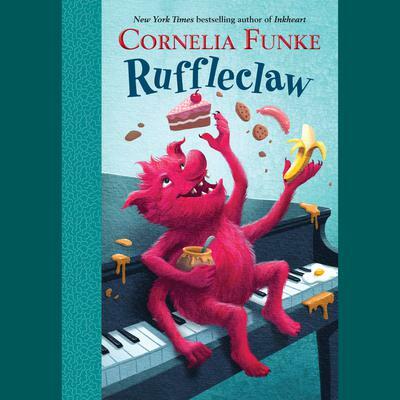 Cornelia Funke’s signature touch of imagination and humor delights young readers in her chapter books—Emma and the Blue Genie, The Pirate Pig, and Ruffleclaw.